RSA Global, a leading third-party logistics provider, has joined forces with UAE-based Immensa Technology Labs, a leading additive manufacturing (AM or 3D printing) company, for the successful deployment of its virtual warehousing solution. With the implementation of these revolutionary ‘Digital Inventory’ and ‘Virtual Warehouse’ solutions, RSA Global has taken a major step towards a more streamlined global supply chain that is supported and strengthened by 3D printing technology. RSA Global is a fully-integrated logistics company with a tech forward mindset headquartered in Dubai. The group as a whole describe their purpose as "Solving challenges for a better tomorrow". It offers its clients 360-degree supply chain solutions such as storage, distribution, transportation, and international freight, with technological innovation and sustainability at the core of its business practices. Immensa said the agreement consolidates its reputation as the leader in applying AM to the logistics industry and also singles out RSA Global as an early adopter and leader in its sector when it comes to implementing the game-changing technology. With the exclusive partnership with Immensa, RSA Global can now provide customers on-demand inventory production capability, substantially reducing raw material costs and lead times, it stated. Customers who are ordinarily saddled with expensive manufacturing costs for parts, long lead times, and high transportation expenses can expect further convenience with greater scope for customisation in their production line, and a favourable impact to cash flow, it added. On the tie-up, Immensa CEO Fahmi Al Shawwa said: "We are proud to be working with leading groups such as RSA Global and their forward thinking leaders. This technology is catching the attention of logistics companies on a global level, with companies like UPS, Fedex and many others taking steps to integrate it into their business." "RSA Global has positioned itself at the forefront of this technological evolution by choosing to adopt this game-changing solution, which will provide impressive added value by freeing up cash and reducing shipping and storage costs through a virtually managed inventory," he noted. Co-founder and Group CEO Abhishek Ajay Shah said: "Technology has been one of the three pillars of RSA’s business strategy, aside from focusing on niche markets and being a value driven solutions provider." "RSA Global prides itself in adopting technology quickly to create advantage for our customers. 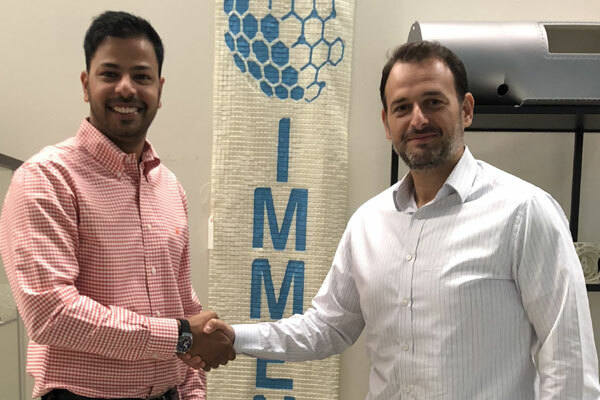 Immensa is a leader in its field and we are delighted to have this exclusive partnership with them as it comes to support our vision of being a third party supplier with the ability to offer customers a complete and seamless, integrated solution," he remarked.